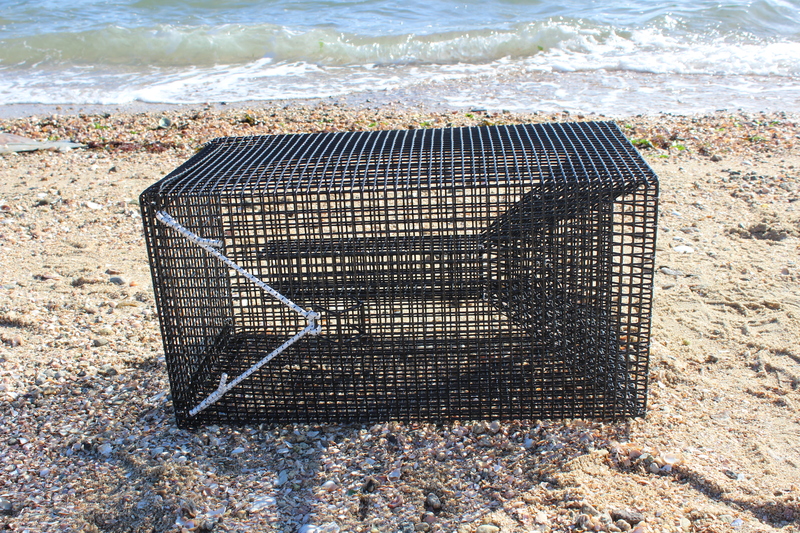 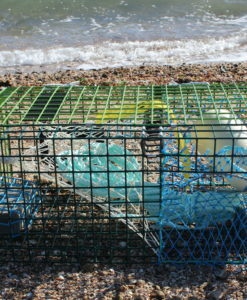 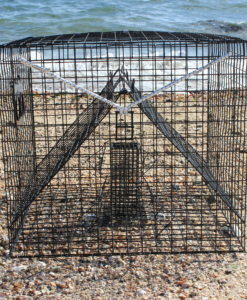 Our eel traps have a wire mesh funnel with a hinged door that folds on 3 sides to keep your eels from wiggling out. 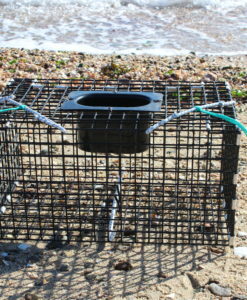 Don’t be surprised if a few green crabs also find their way into this trap. 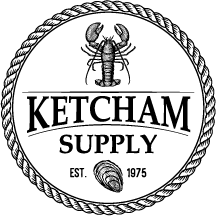 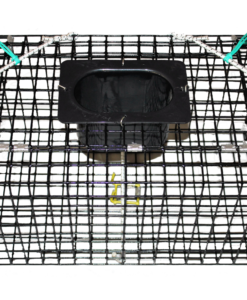 Our eel traps are constructed from 1/2″ square vinyl coated steel mesh with stainless steel fasteners. 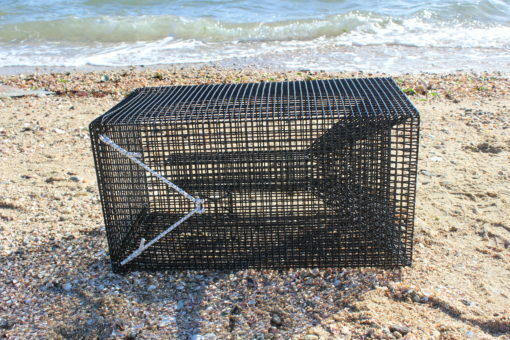 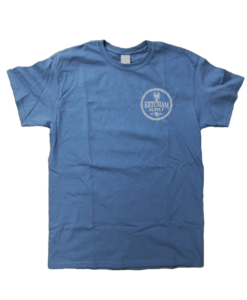 The trap measures 12″ x 12″ x 23″.